I have a client that is in the crafting space, as you may know crafters are a passionate bunch, they like to share ideas with other creative types, and have a very engaged blogging community online. My client, a leader in publishing instructional guides for hobbies such as knitting, sewing, and crocheting has a few annual trade shows that they attend. Last year we collected the names/e-mail addresses of the attendees at the show, sent them an e-mail telling them about the affiliate program, and well, the results were amazing. Out of the list that we targeted via a series of MailChimp e-mails, we had 15% of the attendees sign up to join the affiliate program in ShareASale, and out of that 15%, 10% of them have actively been selling for us by writing about our products and seasonal promotions in their blogs on an ongoing basis. Targeting potential partners for your affiliate program needs to extend beyond the publishers that are already in your affiliate network, for example: Commission Junction, LinkShare, ShareASale. You need to get creative and reach out to an audience that may not even know what affiliate marketing is yet, show them the benefit about writing about your product, and explain how they can earn great commissions blogging about you by joining your affiliate program. If you have customers that are opted in to your e-mail program, chances are many of them have a blog, web site, or at the very least a social media page such as Facebook. Why not reach out to them in your next e-mail telling them about your affiliate program? I have executed this strategy for a multitude of partners in different retail spaces, and it has always been successful. A simple e-mail explaining the benefit of the affiliate program and including a sign-up link to the affiliate program is all you need. Always include your contact name and e-mail address so that if they have questions, or need help signing up you can be ready to answer and help assist them in the process. 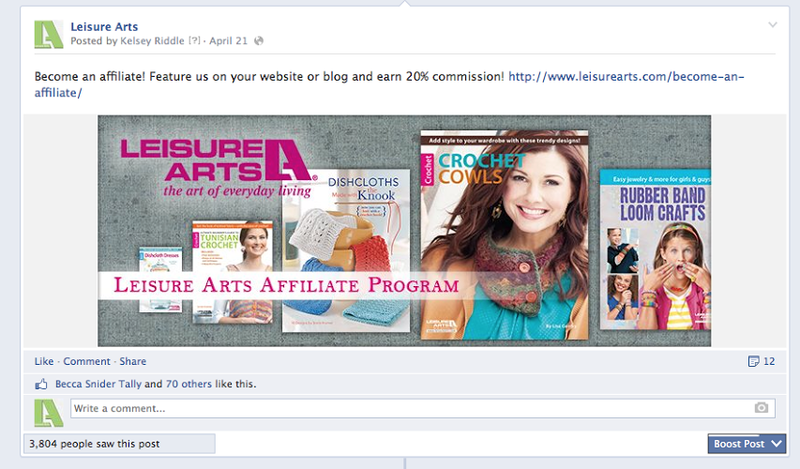 You can do a post on your company’s Facebook page and include a sign-up link to the affiliate program. The success of these campaigns can be easily tracked by putting in a custom URL. It’s free, and these people are already a fan of your brand, it is very likely that they will be interested in making money promoting you online to others!